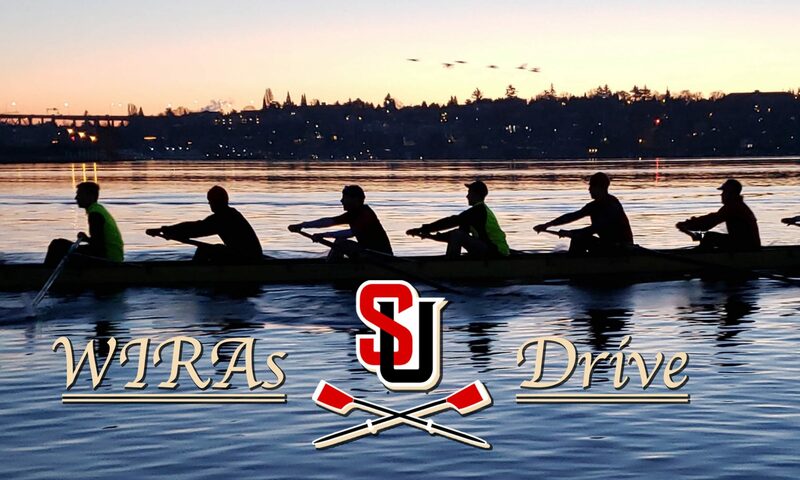 The 2018-2019 season has been an incredible year of development, and it continues to promise thrilling results for Seattle University Men’s Crew. 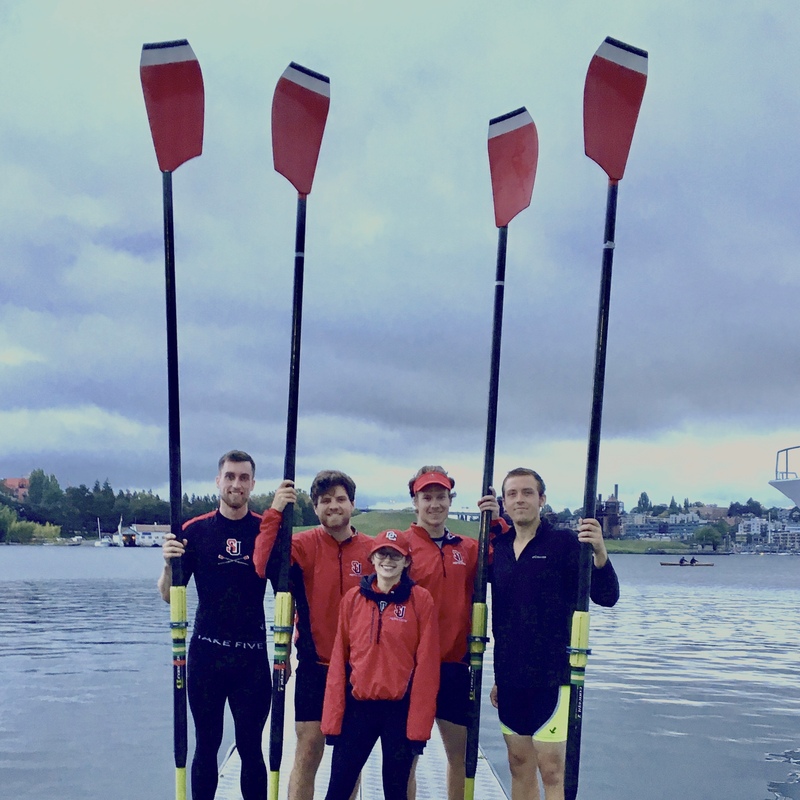 Just days away from the Western Intercollegiate Rowing Association Championships, now is the time for the Redhawks to back up their early season success against the best crews from the west coast. As is typical with rowing, however, the performance on race day is a product of training that happened in the weeks and months prior. The support from friends, family, and alumni have given our rowers and coxswains the strength to push through isolated winter break training and early spring mornings. Championships aren’t won by accident. It takes a team of dedicated athletes, coaches, and supporters to bring one home. With your help, Men’s Crew will hold onto the Men’s Varsity Double trophy and chase after titles in the Varsity 4+, Pair, Lightweight 4+, and Novice 4+. Fending off competition from Humboldt State and Washington State University, the Seattle U Redhawks won their third consecutive V4+ title at the Collegiate Covered Bridge Regatta. 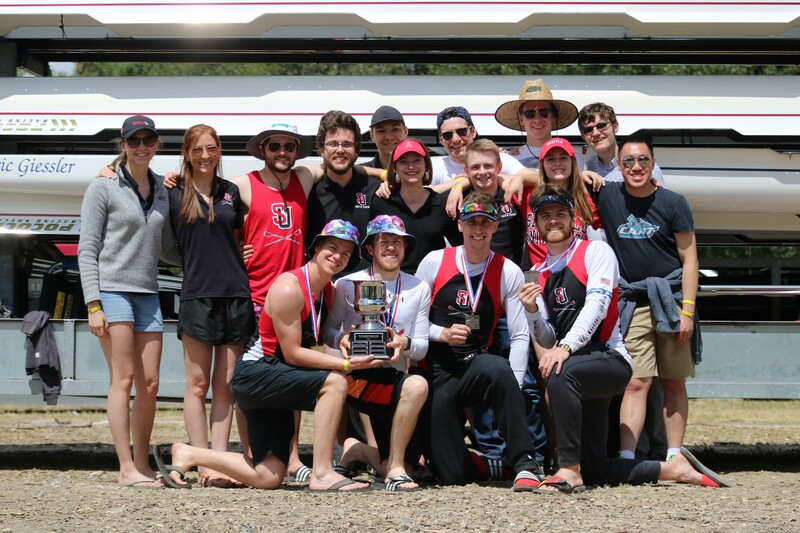 Beginning their run in 2016, the crew from Capitol Hill missed the chance to defend their title last year when the regatta was canceled due to high winds. With calm conditions in the grand final this year, the Redhawks crossed the line at 7:05.9 while holding an open water advantage over the second place Lewis and Clark Pioneers. Winning with a combination of juniors and one sophomore, the young varsity squad is eager to return to Dexter Reservoir in 2020 to pursue a fourth consecutive title. The Seattle U Lightweight 4+, racing in the open weight event, finished third in the petite final registering a 7:42.4 time. Despite leaving Eugene in high spirits and with medals in hand, the day started out cold, wet, and windy. During alignment, the SU Novice 4+ saw two stake boats capsize, including their own. Officials raced to sweep up the bobbing swimmers before calling for an impromptu floating start. Later, during the Varsity 4+ A Heat, blustering winds sent whitecaps crashing into final 500 meters of the course and the outside lane offered no protection from the elements. Just as quickly as the conditions shifted, the Redhawks’ V4+ needed to adjust their race plan. Stroke seat Derek Heath lowered the rate, coxswain Chloe Farison called for more tap down, and the whole boat relied on unbroken concentration to push through. Now, Seattle U looks ahead to their championship season. With just three races left in the year – WIRAs, Opening Day, ACRAs – the fight to the finish is underway. 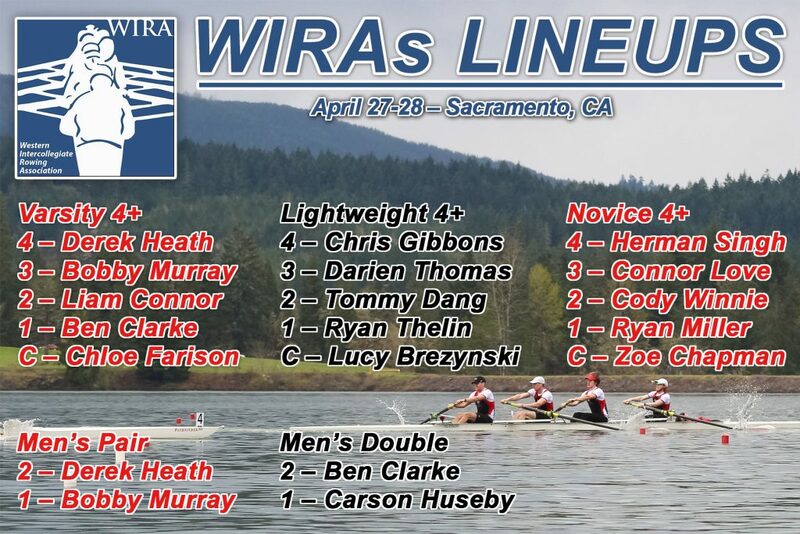 On April 11, head coach Nichole Martin announced the Men’s Crew lineups for the Western Intercollegiate Rowing Association Championships in Sacramento, CA. Racing will take place on Lake Natoma between April 27-28 and features 5 different SU boats. 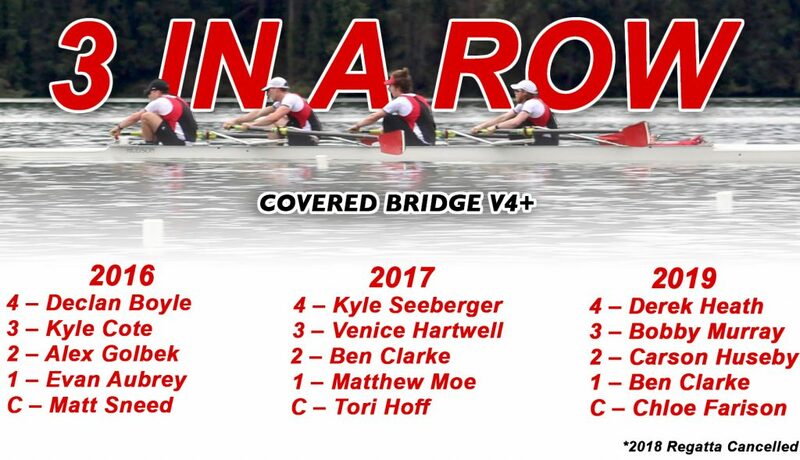 While 2019 has been the year of the 4+ for Seattle U, the Redhawks will do their best to retain their dominion in the small boats category. Second-year varsity rowers Derek Heath and Bobby Murray will make their return in the pair after placing in the silver medal position last year, 0.9 seconds behind UCLA. Meanwhile, junior Ben Clarke, now joined by Carson Huseby, will be hoping to keep the Men’s Double trophy after winning the event last year in dominant (and stylish) fashion. 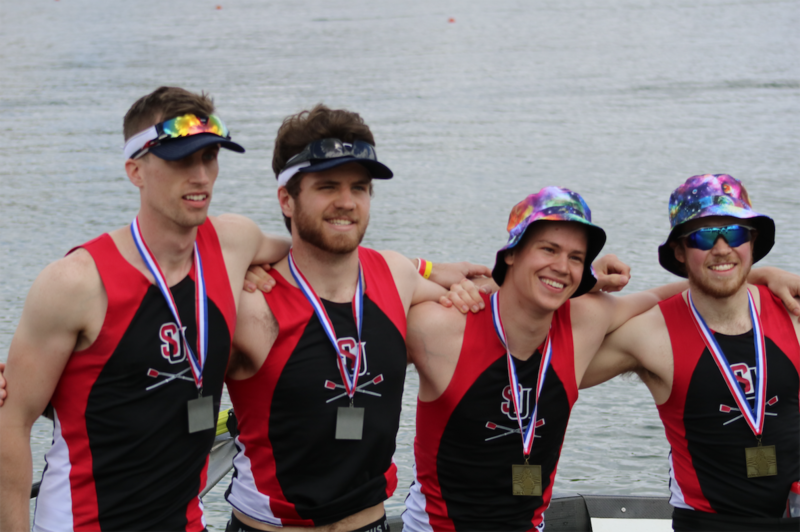 Men’s Crew delivered on their high expectations during their third visit to American Lake in the 2018-2019 season. Competing in five events at the Pacific Lutheran Invitational, Seattle U podiumed in four races against Western Washington University, University of Puget Sound, and PLU. The Redhawks’ Varsity 4+ took home top honors, crossing the line ahead of the next crew by over 40 meters. Locked in a dead heat with WWU for the first 1,000 meters, SU pulled out a canvas ahead before dropping the hammer with a high-rate final sprint. In the eights races, SU came close to breaking the 7-minute mark, coming up just short with a 7:02.2 time. Two hours earlier, the Western Washington Vikings posted the fastest 2k of the day, coming in at 6:46.1, seven seconds ahead of the second place UPS Loggers. While the PLU Invite has always been a “friendly” scrimmage for Puget Sound crews to get together, 2019 united the PNW in a whole new way. Despite being on the calendar for months, disaster almost kept Seattle U out of both eights races. While trailer loading, SU discovered a crack in the hull of their Pocock 8+, the Doug Short. A repair too severe to fix overnight (even with a roll of duct tape), Men’s Crew didn’t have many options to save their race day. Fortunately, the University of Puget Sound loaned the Seattle crew one of their eights on last minute notice. The Redhawks headed back to the Emerald City with lots of gratitude, and a much better idea of their opponents speed as well. 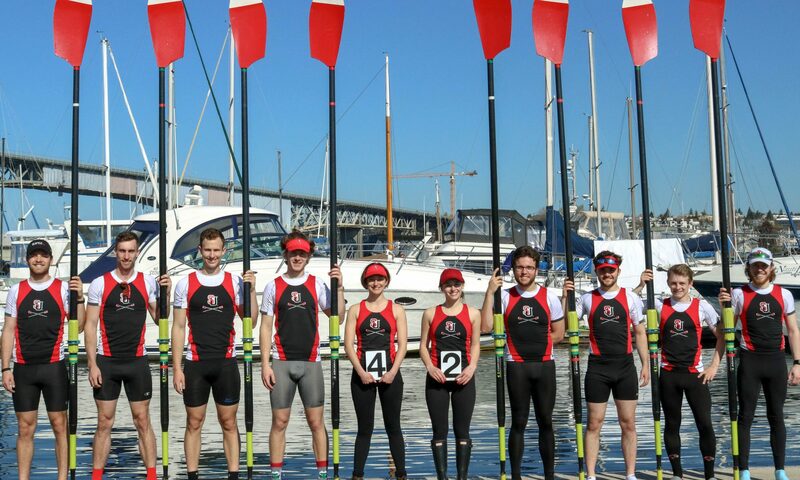 Seattle U will rematch with their PLU opponents and other west coast competitors at the Covered Bridge Regatta in Eugene, Oregon on April 6. Before then, however, SU will be facing off against the Purple and Gold in the Montlake Cut at the Husky Open regatta on March 30 in the Collegiate Men’s 4+ event. It’s been six years since the last Raptor Cup between Seattle U and Seattle Pacific University. With the SPU Men’s Team folding after 2014, it seemed unlikely to see SU Men’s Crew go head to head against the Falcons anytime soon. On March 2, however, the Redhawks and SPU Women’s team revived the rivalry and battled it out in Fremont Canal for a friendly scrimmage ahead of the PLU Invite on March 9. Despite the sunny conditions, the air was a crisp 39 degrees as the Seattle winter continues rolling into March. With the Men’s team coming off a 2k test on land the night before also, the morning was as much about racing as endurance. Matching up for a 2,000-meter race and two 1,000-meter sprints, Seattle U sent their varsity 4+ to line up against SPU’s varsity 8+ and 2v8+, and throughout the morning, no lead was safe. Despite the straight course, it was a coxswain’s race down the Fremont Canal as each boat challenged and responded to their competition. Starting with stern tips even, the SeattleU 4+ had to fight their way through the Falcon v8+ to cross the finish line first. The pancakes at breakfast tasted a bit sweeter with W’s for both crews. When the wakes had settled, SPU took the starting 2k while SeattleU grabbed wins during the two 1k sprints. SeattleU also sent their varsity 2x and a mixed novice/varsity 8+ to the line against SPU’s novice 8+. All around, it was a great scrimmage for the crews who made the most of the chilly morning in Fremont. Saturday practice was extra special for the Men’s Crew team. With temperatures still hanging around 40° and rain in the forecast, SeattleU spent the morning at the Pocock Rowing Center training on RowPerfect 3s. 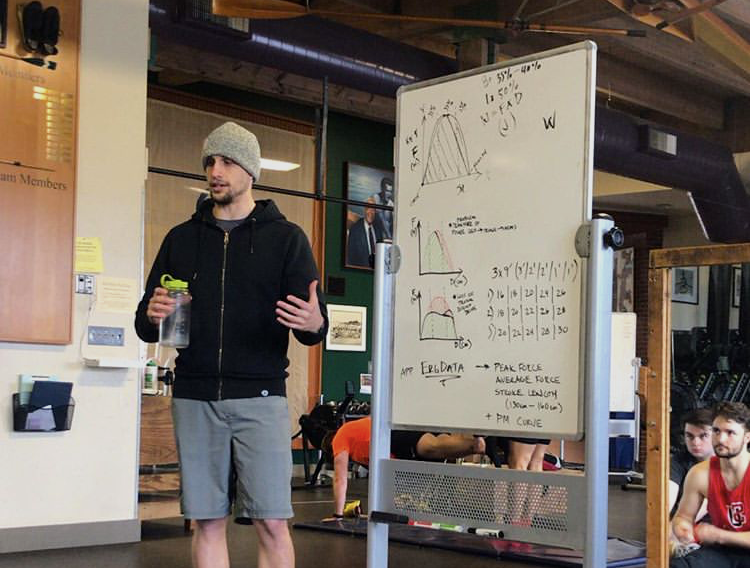 Strength coach Doug Woodward introduced the differences between an RP3 and Concept2 Ergs. Providing feedback on such factors as stroke length, peak power, and force distribution, it was a unique opportunity to receive instant visual feedback on every stroke. Starting at 16 strokes per minute, rowers had time to get comfortable with the machines before finishing the day with higher rate work. For most oarsmen, it was their first time on an RP3, and the data visualization pointed out areas in the stroke that each rower can work on. Head coach Nichole Martin is planning a return trip to Pocock so rowers can check in on their progress as they continue training into Spring. Just two weeks away from the Pacific Lutheran University Invitational on March 9th, it was the perfect opportunity for the Redhawks to build technique at race pace. 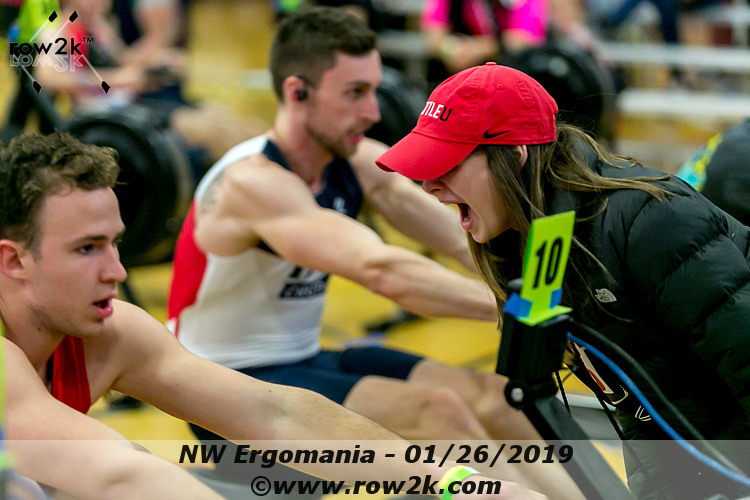 On January 26th, Seattle University Men’s Crew headed to Ergomania, the Northwest Indoor Rowing Championships. Hosted by the George Pocock Rowing Foundation, the event featured over 330 athletes and enthusiasts competing in a variety of races. Taking a day off from the water, the Redhawks won six medals across three events, including a sweep of the Men’s Open / Collegiate 2,000 meter race. Nearly all varsity members of the Men’s Crew team were able to compete except for a few rowers (and two coxswains). Across the 2,000m events, five rowers were able to achieve a new personal best time. Junior oarsmen Tommy Dang and Derek Heath set the tone for the Redhawks on their first 2k of the season, notching the fastest in-team lightweight and heavyweight times. Attendees at Ergomania weren’t the only ones to take notice of Seattle University’s impressive showing. Fat Ergos, one of the largest rowing accounts on Instagram, shared a photo of SU Junior Bobby Murray wearing his gold medal following the 500m Dash event. With the opening salvo of 2k racing season complete, the Redhawks turn their attention to the Pacific Lutheran University Invitational on March 9th at American Lake in Lakewood, WA. The regatta traditionally serves as a trial run for many of Seattle U’s racing lineups, as well as the first ever race for the novice rowers on Men’s Crew. The invite pits several Pacific Northwest colleges against each other in a friendly scrimmage, with PLU, University of Puget Sound, and Western Washington University among the most frequent competitors. 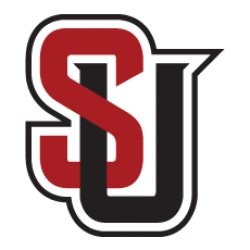 Seattle University posted the best collegiate race time at the American Lake Fall Classic in Lakewood, Washington. The varsity 8+, stroked by Derek Heath, finished at 18:17.6 for the 5k course – 2:53.8 ahead of the second place crew, Pacific Lutheran University. Seven of nine spots in the boat were filled by new varsity members, including coxswain and president Chloe Farison. Racing in the “Doug Short,” named after the former SeattleU men’s and women’s rowing team coach, the lineup from stern to bow was: Chloe Farison (cox), Derek Heath (stroke), Liam Connor (7), Max Whelan (6), Bobby Murray (5), Carson Huesby (4), Stephen Brantzeg (3), Chris Gibbons (2), and Darian Thomas (bow). Racing earlier in the day was the Lightweight 4+, which secured a bronze medal with a 23:24.7 course time. 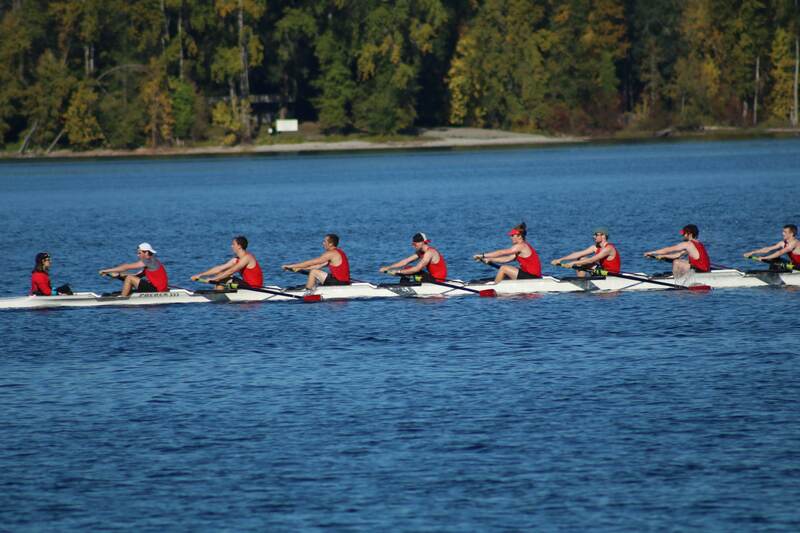 Chris Gibbons, who raced in both Redhawk boats at the Fall Classic, led an aggressive charge from stroke seat, finishing 16 seconds out of silver medal position. The remainder of the boat included coxswain Lucy Brezynski, three-seat Tommy Dang, two-seat Michael Bremmer, and bow-seat Ryan Thelin. Conditions for both races were calm, although stray boat traffic caused occasional rough water at different points throughout the course. 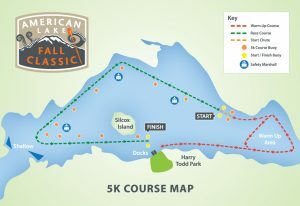 The biggest obstacle for all crews at the Fall Classic, however, was the sharp turn before Silcox Island near the end of the race. Coxswains had to be careful while navigating the bend to stay out of the nearby shallow areas. The triangle-shaped course also presented a challenge for starboard oarsmen, who had to provide extra strength to help the boat turn sharply and save precious time. Second-year varsity coach Nichole Martin was thrilled by Seattle U’s performance at American Lake. Making their first-ever appearance at the Fall Classic just three weeks into the 2018-2019 season, the results set the right tone for the varsity squad, which will be looking to podium at all major regattas this season according to Martin. 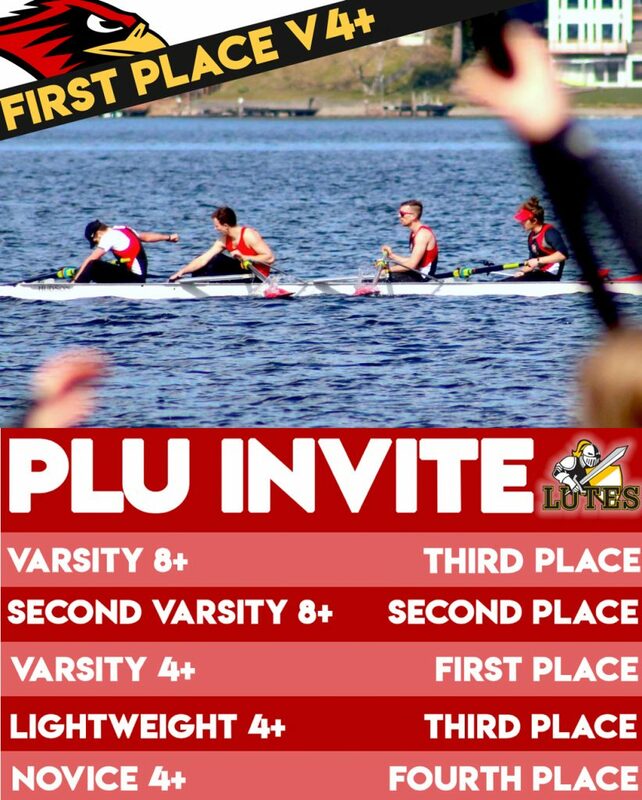 Winning medals in two separate events also sets the stage for the team’s return to American Lake in March, 2019 for the PLU Invitational, when the growing class of novice Redhawk oarsmen make their official debut. 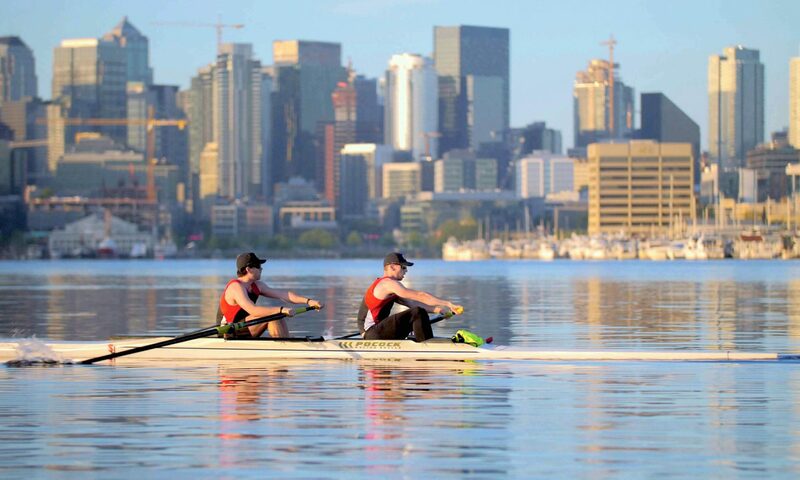 If you are interested in joining the Men’s Crew team, contact heathd1@seattleu.edu. No experience needed!